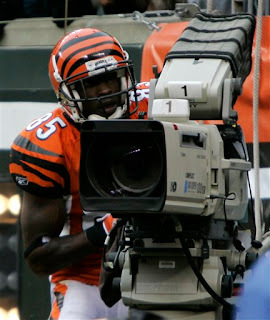 Bengals wide out Chad Johnson will have ankle surgery Wednesday; this to clear out some bone spurs in his ankle. Both ESPN News and NFL Network are reporting that the receiver will be ready to go come training camp. Johnson made news last week when he did show up at Bengals minicamp, but the first few practices did little, but by the end of the week was catching passes like normal. The rivalry between Johnson and coach Marvin Lewis for now seems to be at a calm state, the question now will be once training camp kicks off on July 27th, what will the tension be like between the two if things get off to a slow start. Johnson has said recently that he will be at camp come late July, but we’ll see if he uses the ankle surgery as a reason to take it easy or even skip practices. 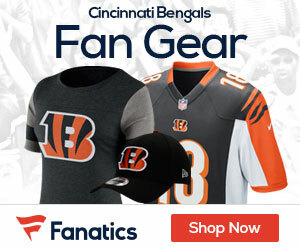 The rivalry between Johnson and coach Marvin Lewis for now seems to be at a calm state, the question now will be once training camp kicks off on July 27th, what will the tension be like between the two if things get off to a slow start.